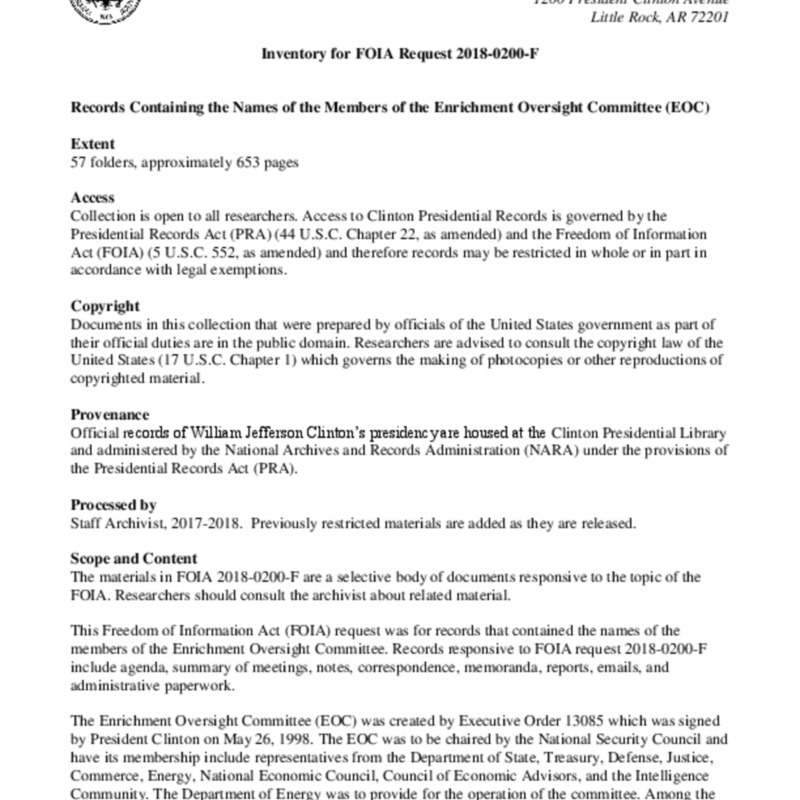 This collection consists of records that contain the names of the members of the Enrichment Oversight Committee (EOC). It consists of agendas, summary of meetings, notes, correspondence, memoranda, reports, emails, and administrative paperwork. The EOC was chaired by the National Security Council and had its membership include representatives from the Department of State, Treasury, Defense, Justice, Commerce, Energy, National Economic Council, Council of Economic Advisors, and the Intelligence Community.